Sew Bossy - a disaster saved only by my partner in crime! Thanks so much Kat, really appreciate your positive and forgiving attitude! Please don't feel bad - if anything it makes me enjoy your blog even more as its nice to know your human!! Your so talented its gets a little intimidating when u see so many clever people making such beautiful things so it actually makes it easier to start sole thing if you know clever talentedeople make mistakes too!! Aaaw, thanks so much Caroline! I try to be as honest as possible on here and will always share my mistakes/disasters as it's part of learning and evolving I guess! 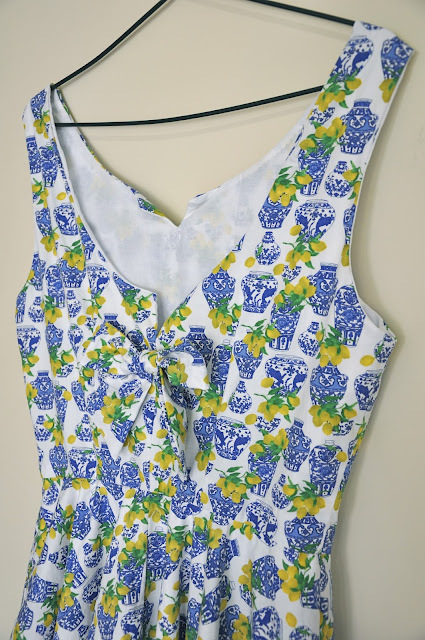 Ah, I think we've all had some sewing regrets- mine sadly involved both Cynthia Rowley and Anna Sui- it was a lot of ladies to disappoint, but we try again, right? 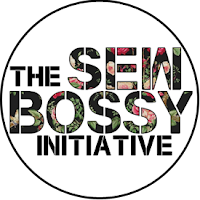 I love the Sew Bossy Initiative!! Thanks so much Tania, you're very kind and wise! You're in good company... 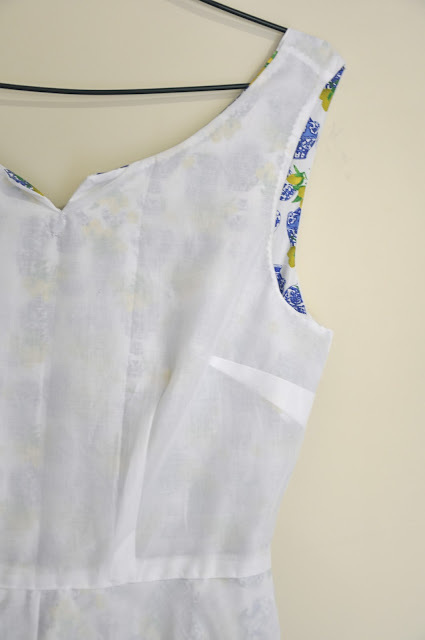 I fitted a shift dress toile standing up. This made my final make fine for standing up but useless for breathing deeply or sitting down! Oh no, how annoying for you! That's totally the kind of thing that I would do too! I'm so sorry, but you know, these things happen all the time, but not everybody is brave enough to blog about it ;) I had some major failures that I was too ashamed to share with the world. At least you've learned something! Yes, I certainly have learned a lesson! I will definitely try the pattern again for sure! Poor dear. It's stressful enough to fudge up your own ideas, let alone something someone thoughtfully sent you.It happens. Don't beat yourself up to much. If anything, I think you need another Sew Bossy just to work through your anxiety! You're probably right...just get back on the horse Marie! Aww man, that's no fun! I know we've all been there, though-- not every project is a success! Kat's dress is really beautiful, though. I'd still call this a successful collaboration! Thanks Sonja, that means a lot! Everyone makes mistakes! My goodness, you are so hard on yourself. Anyone who has ever sewn anything in their life has certainly done something like this before. I'm sure no one hates you or wants nothing more to do with you. You're only human, like the rest of us. And it's all going to turn out all right in the end! I've been there. It's the worst feeling when nothing seems to save a project. I learned my lesson the hard way a few times and have started making muslins now. Buying pricier fabric has helped drill it into my head... I literally can't afford a mistake :). I understand your heartbreak, I have done the same thing. Sometimes I get overconfident and my next project shows me I didn't know as much as I thought I did. It happens to all of us, and it has happened to me more times than I can to remember. Sad day. Ugh. I hate when those mistakes happen. Hopefully you can use the fabric for something else. But you picked a great pattern and matching fabric for Kat's dress. It looks amazing! Thanks Mela, you're a love! Poor thing! It happens to us all! 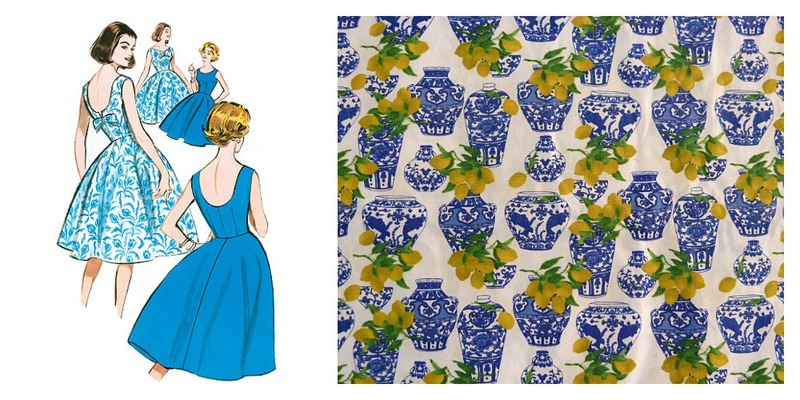 Maybe get a similar fabric and pattern and make it up again? Maybe even with Kat's approval for the new pattern/fabric? I currently have the pattern pyramid and no one has commented on it that they want it. I also hate the idea of disappointing other bloggers. That's a great idea, I'll pose it to Kat ;o) I've entered your giveaway...would love to help keep the pyramid going! Think of it as just one more sewing experience! Just some extra sewing practice. Did you finish the dress? Could you give it to someone who will wear it and love it? I totally ruined it in the end with all the unpicking and improvising I'm afraid :o( But I will give it a go in another fabric at some point for sure! I feel your pain. 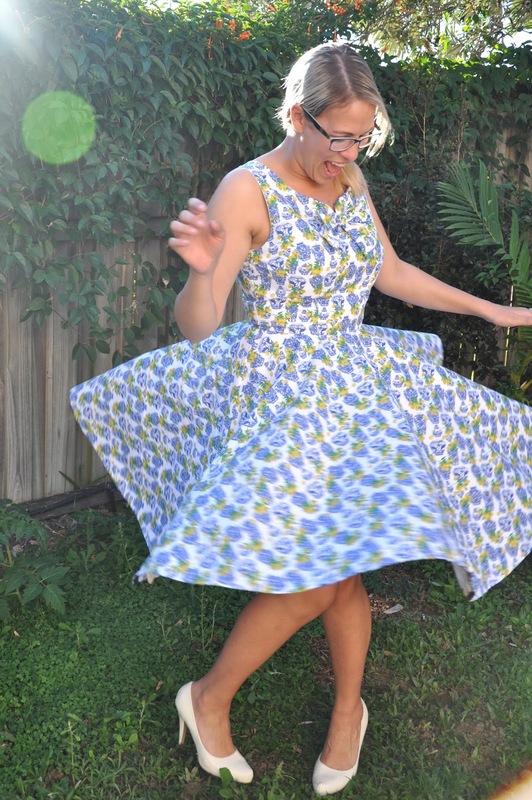 I rushed through my last two makes, feeling like I was in the best sewing groove, and they are both such disasters! 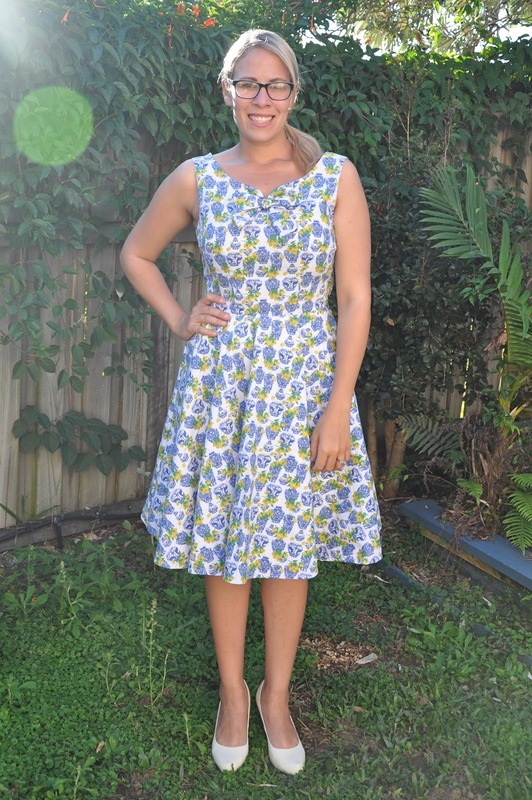 Sorry to hear that your Sew Bossy make was unwearable. At least there's one beautiful dress to celebrate out of the whole thing! Sorry to hear that Amy, I guess we're all human! But yes, Kat's dress is soooo beautiful! Thanks Nikki and long may your success continue! Wait, how did I not know Kat was from Australia?! LOL Her dress is gorgeous and so well made! I love that print, too. What wonderful fabric! Yep, she sure is ;o) Her dress is just stunning isn't it?! I think all sewers have done it Marie. I have several boxes of UF0's and mistakes sitting on top of my wardrobes, everything goes in that I don't like is too small or is too badly made. 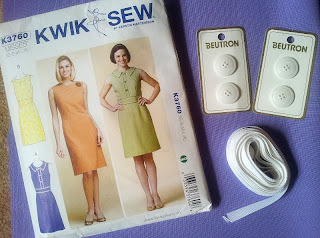 I don't like to throw fabric away, and I know that eventually I will remake it all. Don't be so hard on yourself. I also feel that every make be it good or bad is a learning experience. Looking forward to your next seeing your next make. Thank you for the wise words and advice! It happens to everyone! I totally feel your pain - my dressmaker's dummy is wearing my Anise jacket at the moment as I sewed the lining sleeves in back to front, and didn't realise until I had finished the jacket. Yep, finished it. So I have to do a lot of unpicking. I'll get to it eventually. Oh noooooo, poor you! I hope you fix it soon lady!! !